Bethany Davidson was a junior in high school when she attended a performance at the Bruce Owen Theater at Oklahoma City Community College. There, she saw people dressed in fishnets, corsets and dark lipstick. The performance included prop bags filled with some rice, a piece of toast, toilet paper and a party hat.The theater was filled with people dressed as their favorite characters from the show. One woman, in red hair and dressed in a maid’s outfit, walked out to center stage. Davidson said the woman dressed as the character, Magenta, asked those who were “virgins” to the show to stand. Davidson and a few of her friends stood. Magenta told everyone that they would be “deflowered” by the end of the show. The story opens with a song. The crowd erupts into a mixture of laughter and voices. After 42 years of being shown in theaters, the Rocky Horror Picture Show has grown much bigger than the script it was based on. It’s more than a B-grade musical. It’s more than a group of men and women from the 1970’s who dressed in fishnets and danced in heels. The Rocky Horror Picture Show is a cult phenomenon turned tradition. Richard O’Brien was an out-of-work actor in London in the 1970’s. In a BBC interview, the 75-year-old entertainer said he wrote the script while trying to keep myself occupied. Performance at Kansas State University. Photo by Karis McMurtrey. That work would become The Rocky Horror Show. O’Brien drew his inspirations from science fiction and B-grade horror films that played on television. He said his influences were a combination of these films and the unintentional humor that came along with it. “It was the glam-rock era of London at the time that allowed me to be myself more,” he said. In the time the show was made, this lifestyle wasn’t accepted by the majority and was often condemned as sinful. Regardless, O’Brien found his outlet in theater. Before he was finished with the script, O’Brien met theater director Jim Sharman in London at the production of Jesus Christ Superstar. O’Brien had worked for Sharman by playing the role of King Herod. He produced a half-done script and asked him to direct the stage production. Originally called They Came From Denton High, Sharman said he was unsure about the play at first but agreed to direct. Before the show started, O’Brien and Sharman had to find funding for a theater and actors to fill the roles. Through a connection in the Australian theater circuit, Sharman found Nell Campbell who would be cast as Columbia. As roles filled, O’Brien had a hard time finding a perfect fit for the lead known as Dr. Frank-N-Furter. A young British actor was walking down Paddington Street one day near a London gym. It was then that a small man came out of the doors and noticed the actor from different shows he had performed on Baker Street. This was the first meeting of Tim Curry and Richard O’Brien. 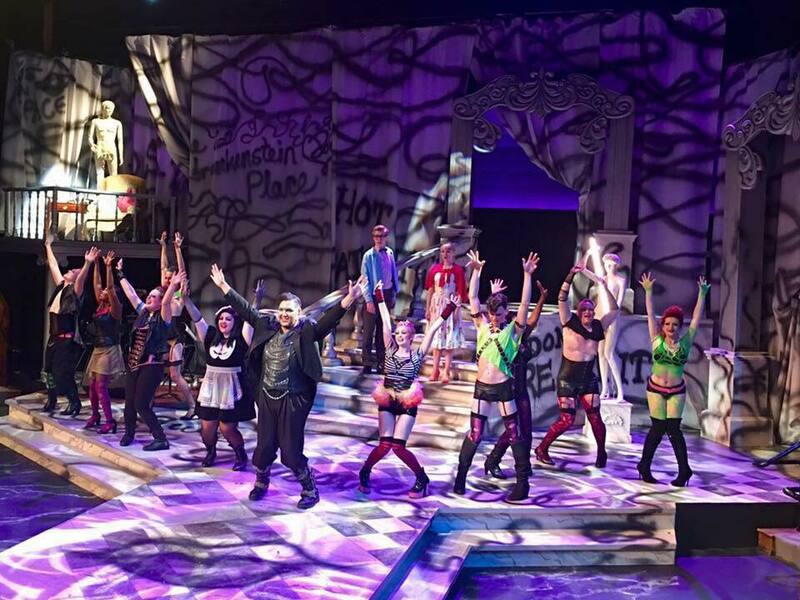 Before the first show, the title of the show changed from They Came From Denton High to The Rocky Horror Show. On June 19, 1973, the Royal Court Theatre presented the first performance. In the 63-seat venue, Curry played Dr. Frank-N-Furter as a transvestite instead of a posh queen, Nell “Little Nell” Campbell was cast as Columbia, Patricia Quinn, Magenta and O’Brien played the role he had written for himself: Riff Raff. Their tenure in the Royal Court Theater lasted until July 20, 1973. Despite it being an original concept, O’Brien saw the show as more of a retelling of the ultimate classic fantasy: the tale of Genesis. Just before leaving the Royal Court Theater, Jonathan King, a UK Records label producer, rushed the cast to the recording studio and allowed them to make a demo tape of their soundtrack. The cast was able to book two more theaters in London from 1973 to 1975. They first moved a 230-seat venue called the Chelsea Classic Cinema. As crowds grew larger, the cast moved to the theater where they felt the most at home. It was the mid 1970’s and O’Brien was enjoying the theatrical success in Europe and in the United States. Instead of regular clothing, O’Brien noticed people dressing in drag, resembling the characters in the show, the first indication of a cult following. 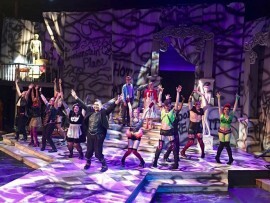 The Rocky Horror Show was watched by thousands of people each week. Jonathan King from the UK Record Label returned to America to speak with O’Brien. “With King’s backing, we were able to take the next logical step in entertainment: The movies,” O’Brien said. The Rocky Horror Show had to be adapted from the stage script into a movie script. During those edits, the title was changed to The Rocky Horror Picture Show. Most of the original stage crew reprised their roles. However, the producers began a search for Brad Major and Janet Weiss, the protagonists. Fox Studios were adamant for the production to use two American actors into the cast. Two months before shooting began in October in England, Fox put actors Barry Bostwick and Susan Sarandon on a plane to meet the rest of the crew. The schedule to shoot, edit and produce was rushed by the studio for a quick turnaround in order to showcase the production to audiences during the holiday. Filming of The Rocky Horror Show began on October 21 and finished on December 19, 1974. Most of the production took place at a country house at Bray Studios and Oakley Court in Berkshire, England. During filming, actress Susan Sarandon was sick with the pneumonia and those on set were told to not waste takes due to the lack of time. After the principal photography finished O’Brien and the cast made their way back to the Broadway stage. On September 25, 1975, The Rocky Horror Picture Show premiered in Los Angeles. The Rocky Horror Show was a success. The same can’t be said for the film. Critics across the United States almost unanimously labeled O’Brien’s movie as a box office failure. The film grossed only half of its original budget due to reviews which crippled the anticipation to transfer from the theater to the movies. This would not be the first time that a film went into the bargain bin without a second thought. O’Brien thought the Rocky Horror fever had fizzled until a Fox distribution executive named Tim Deegan took charge of the project. According to a New York Post story, Deegan took the film to Manhattan where Greenwich Village would regularly show midnight movies. On April Fool’s’ Day, 1976, The Rocky Horror Picture Show replaced Night of the Living Dead and played on the midnight movie circuit for over a month. Deegan noticed that by the second week people were shouting things at the screen at certain points of the movie and dressing as the characters. It wouldn’t be long before the crowd began to lip-sync to the movie as it played. Week after week, more people came to the shows and brought those who had never seen the movie or the theater show. Regular midnight showings spread throughout New York City near the end of the 70’s. The popularity rose when the film adaptation of Fame featured a scene in which the characters in the show went to a midnight showing of Rocky Horror Picture Show. By the 1980’s, The Rocky Horror Picture Show had became a cult classic. Christopher Stevens, 51, remembers going to the Village Cinema and then the Fox Theater in Tulsa during the 1980s. The theaters have shut down since that time; however, the traditions and experiences have lived on through Stevens and his two children. Stevens, now an EMSA recruiter, remembers his first Rocky Horror Picture Show experience. Stevens went with a group of theater and speech friends to the midnight showings almost every Friday or Saturday. He dressed as the character of Riff-Raff and built his mock laser gun and spacesuit in order to perform the show. Stevens has a 14-year-old son and a daughter in her senior year at Booker T. Washington High School. When his daughter performed in a stage production of Rocky Horror Picture Show, she was able to play Columbia after being introduced to the show through her father. Last fall, Stevens took his daughter and a friend to the Circle Cinema in Tulsa to see the movie. Over the years, audience participation has become part of the tradition. The audience is instructed to shout responses to certain events in the movie while reacting to scenes that are often acted out by people performing the show live. Now successful because of the film’s cult status, O’Brien and he believed he needed a sequel. In 1981, O’Brien and Sharman wrote the script for Shock Treatment. The story follows Brad and Janet Majors after the events of Rocky Horror into a bizarre world of reality television. The film was poorly received and is often widely rejected by fans of the show. Though Shock Treatment flopped, Rocky Horror Picture Show lives on. It’s been 42 years since the movie premiere of The Rocky Horror Picture Show. What started as a passion project by a starving artist, has now grossed over $479 million and has remained No. 8 among all live-action musicals according to Box Office Mojo. As of 2012, Rocky Horror Picture Show holds the record for the longest theatrical release in film history. Each year, hundreds of festivals dedicated to watching Rocky Horror with interactions from the audience. Off Broadway, the show has been replicated by community theaters and civic theaters around the world. 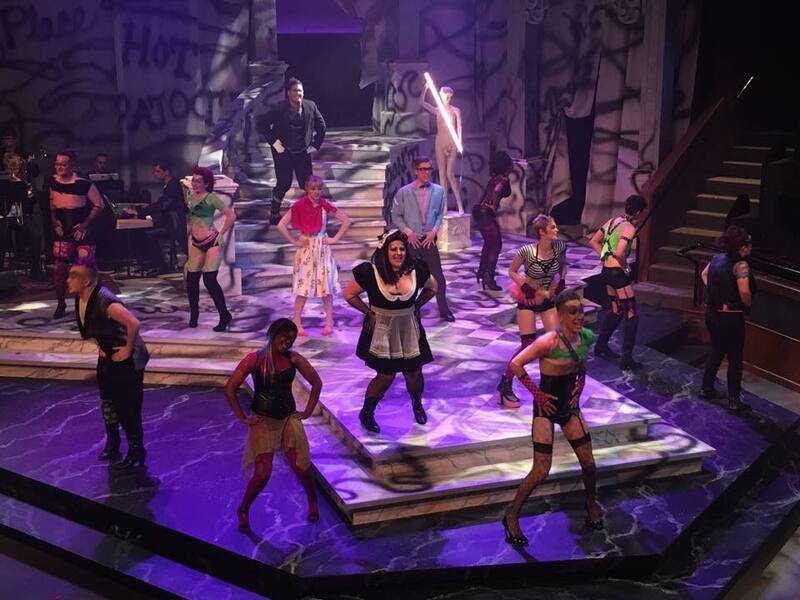 For those who were raised in the arts, the fascination of The Rocky Horror Picture Show might come as second nature. Many theater classes and film institutes show the film as a cornerstone for modern entertainment. For others, a love for the film might not have come so easily. Rebecca James, a 31-year-old physics major at Oklahoma City Community College, has seen the film three times with her boyfriend Frank. After each time, she was left wondering what the hype was about. Frank has attended two live showings of The Rocky Horror Picture Show and has tried to get James to go with him. For people like Karis McMurtrey, it’s become a Halloween tradition. at a theater school in Montana during in her sophomore year of high school. Her first impressions were surprise and curiosity. She grew to want more from The Rocky Horror Picture Show. Now McMurtrey is a musical theater student as a junior at Kansas State University. Her love for show has grown. She dresses following the theme of Rocky Horror: a corset, fishnet tights, spandex and black or red lipstick. As venues like the Sooner Theater and The Boom feature two weeks worth of shows in the month of October, those who are used to the movie might not know about the traditions that come along with the show.